What exactly is the Glitter Flake material? 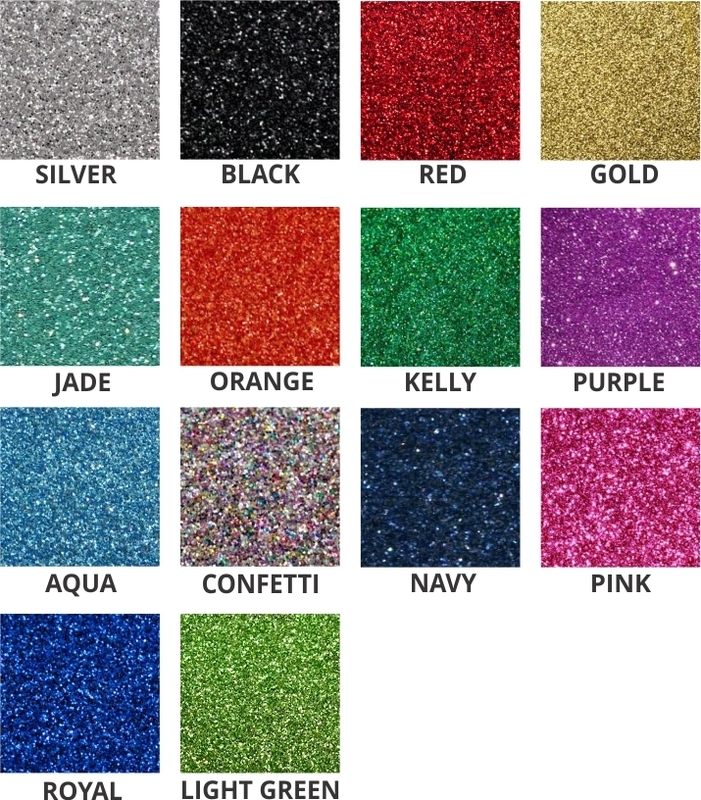 Our Glitter Flake material is high quality glitter covered material. Our glitter material is not sewn as it has a permanent adhesive backing that keeps it applied to your garment wash after wash. Glitter Flake is a great way to take your apparel to the next level! This chart is physical photos taken of the Glitter Material. The colors will vary based upon your screen settings.